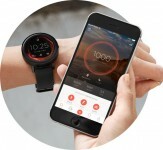 The Vapor is Misfit's first proper smartwatch. It was officially announced back in January this year during CES. Then, a couple of months later in March, it was revealed that the Android Wear 2.0 watch will become available in "late summer" for $199. Well, the latest news is that the release time frame has been pushed back. The device will now be launched sometime in the month of October this year. Specs-wise, the Vapor is powered by a Snapdragon Wear 2100 chipset, and sports a 1.39-inch fully round AMOLED touchscreen with 326ppi pixel density. There's 4GB of storage, as well as an accelerometer, altimeter, gyroscope, optical heart rate sensor, GPS, and a microphone. 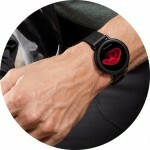 The wearable has Bluetooth and Wi-Fi connectivity, and it's water resistant up to 50m. Is it coming with integrated GPS or not? It's a vapor wear I guess then.